That stream provided power through a water wheel. The facility is dominated by a white mansion that was built at the start of the 20th century and that now serves as the administrative offices. Around a hundred yards from that building is the ironworks. There is a road down to the lake which is lined by small red cottages with black trim. Those small buildings are where blacksmithing took place in the past. Also on site are four apartment blocks that were built for workers in the 1800s. The buildings have the curious names of “Zion,” “Bethlehem,” “Langholmen,” and “Rome.” The apartments have been modernized over time and are still in use today. Even the accommodations for forge workers are older than many American towns. These were originally built in the 1800s and are still in use today. It all started in 1697 with forging by hand using water driven hammers. Products being fabricated in the beginning included nails and iron bars which were then followed by hand tools such as axes and spades. From its founding until the 1820s the facility was owned by absentee wealthy nobles. 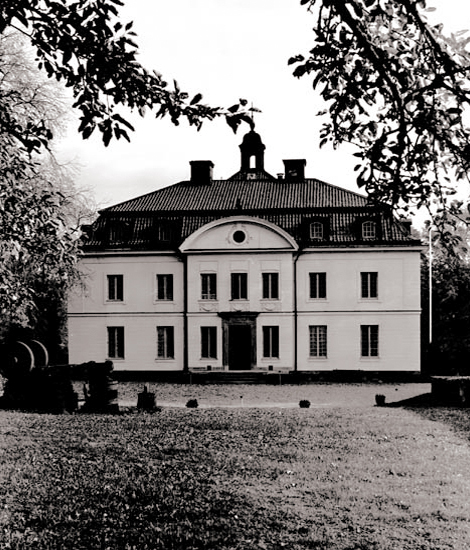 Around 1820 the family Ekelund took over the complex. Three generations of Ekelunds ran the Hults Bruk works for over 100 years. 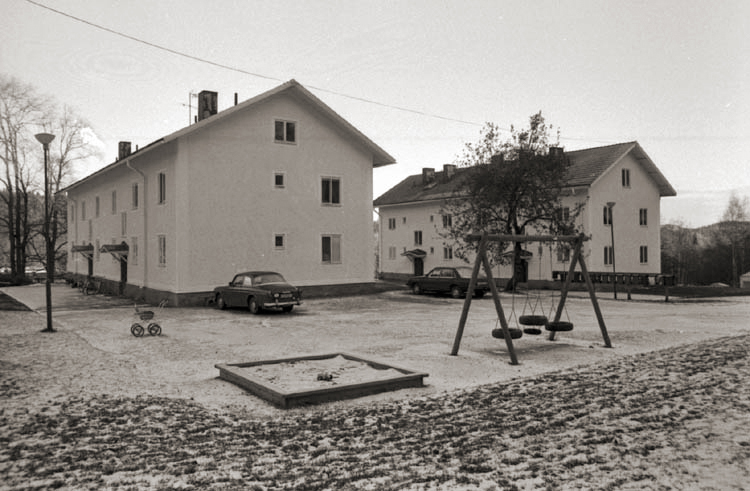 The family lived on-site for the entire time of their ownership. In the late 1870s the owner and ironmonger Gunnar Ekelund took the initiative to make axes according state-of-the-art American production methods. In 1887 he traveled to America to study those industrial methods and to buy modern machinery. An additional purpose of his trip was to open up a new market for Hults Bruk axes in the United States where the first axes were sold in the late 1880s. Gunner Ekelund died in 1928 at the age of 78 after running the company for 42 years, but not before setting the Hults Bruk works on a course of modernization. The next development milestone occurred in the 1930s when there was a great deal of development effort put into finding more effective ways to forge a blade edge that would maintain sharpness over time and use. 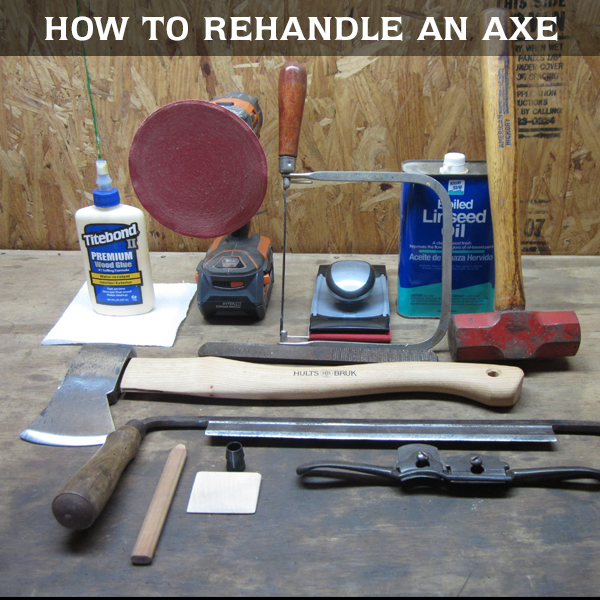 The production and materials breakthroughs that occurred in that pre-war era have endured and are evident in today’s axe product line. Social standards among workers were improved, as was happening in the broader economy in Sweden at the time. 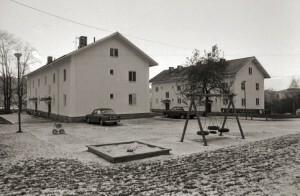 A school was built on site. In 1944 Hults Bruk was sold to the paper company Holmens Bruk. The facility was purchased by Tors Hammare in 1988. Finally, Hults Bruk was sold to the present owner, The Hultafors Group, in 1992. 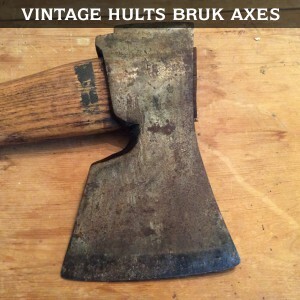 Currently there are over 20 people working at Hults Bruk where over 100,000 axes heads are hand forged each year. This elegant Nordic mansion, a century old, still serves as the headquarters of Hults Bruk forge.